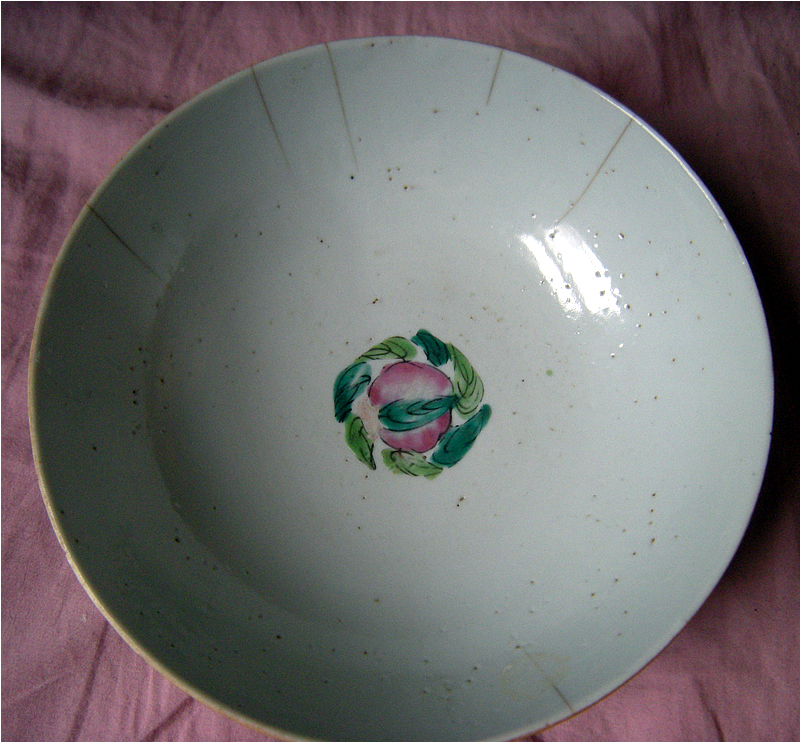 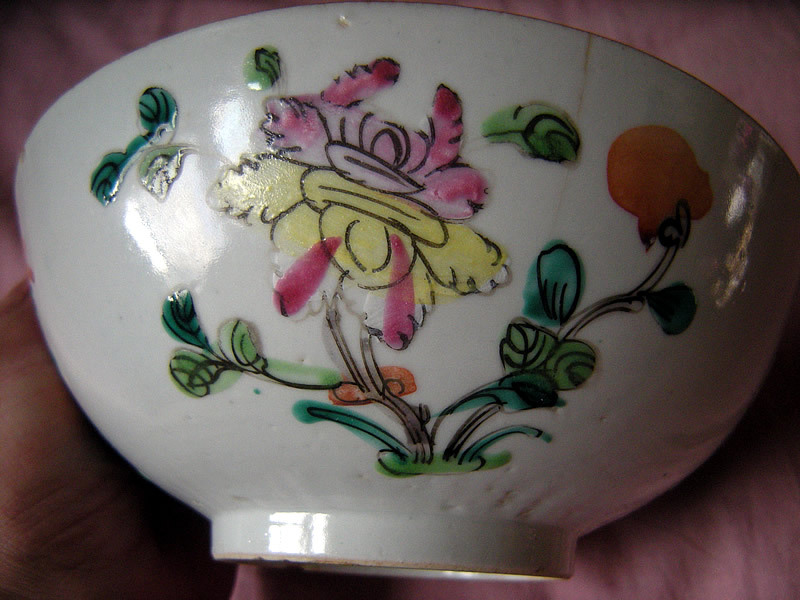 I found this decrepit old Chinese porcelain bowl in a thrift shop a while back. 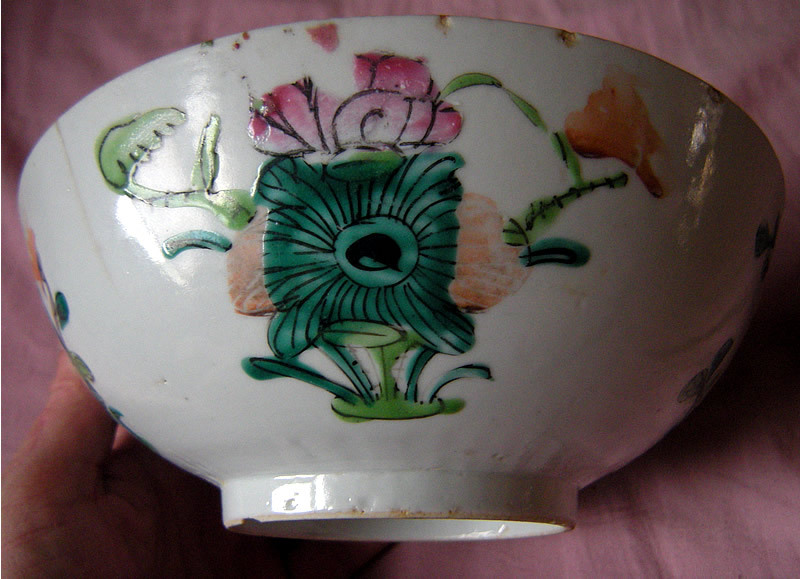 I nearly hesitated in purchasing it because of its overwhelmingly poor condition, thinking perhaps it could be an artificially aged fake, or even a poor quality modern reproduction, but according to Peter Combs, owner of PL Combs Antiques in Gloucester, Massachusetts, it's late Qing Guangxu period, possibly very early republic. 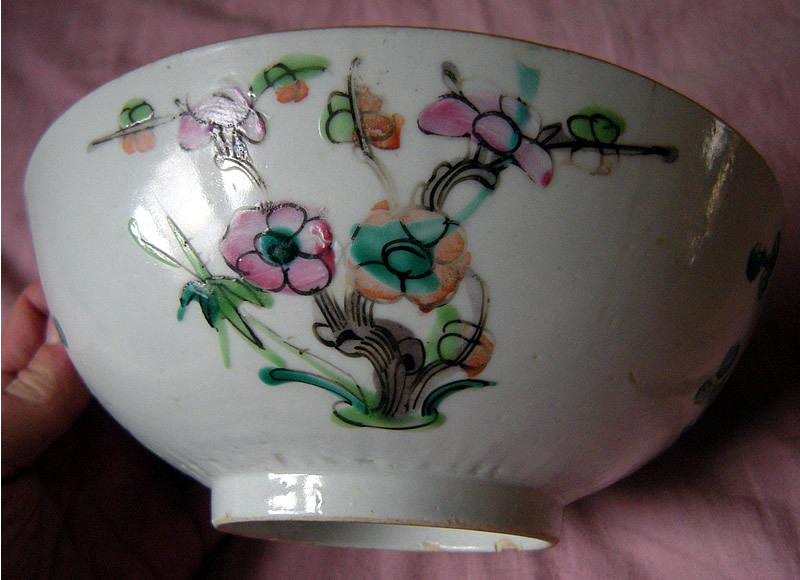 Estimate late 1880s to early 1900s. 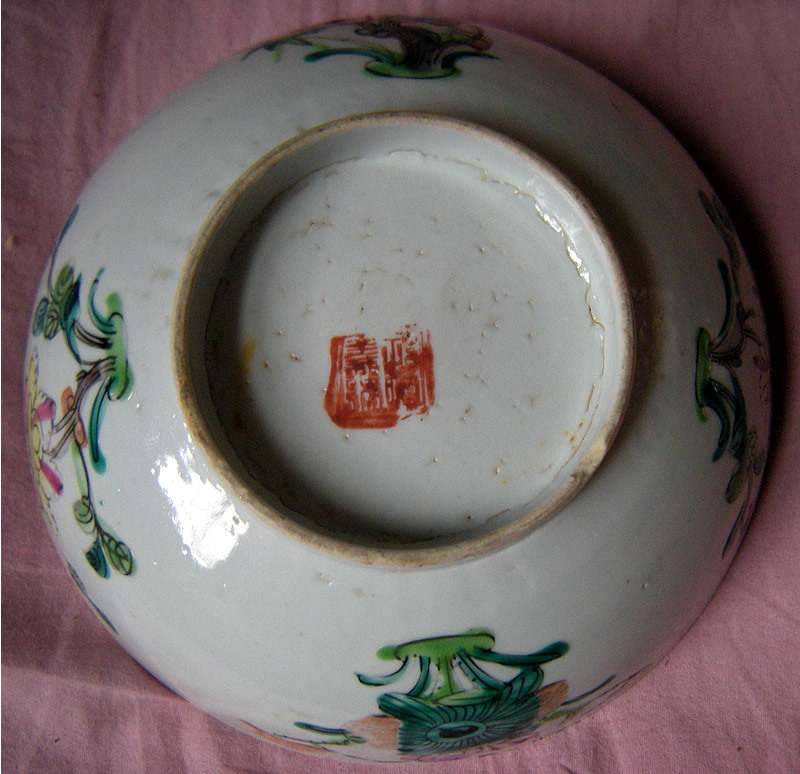 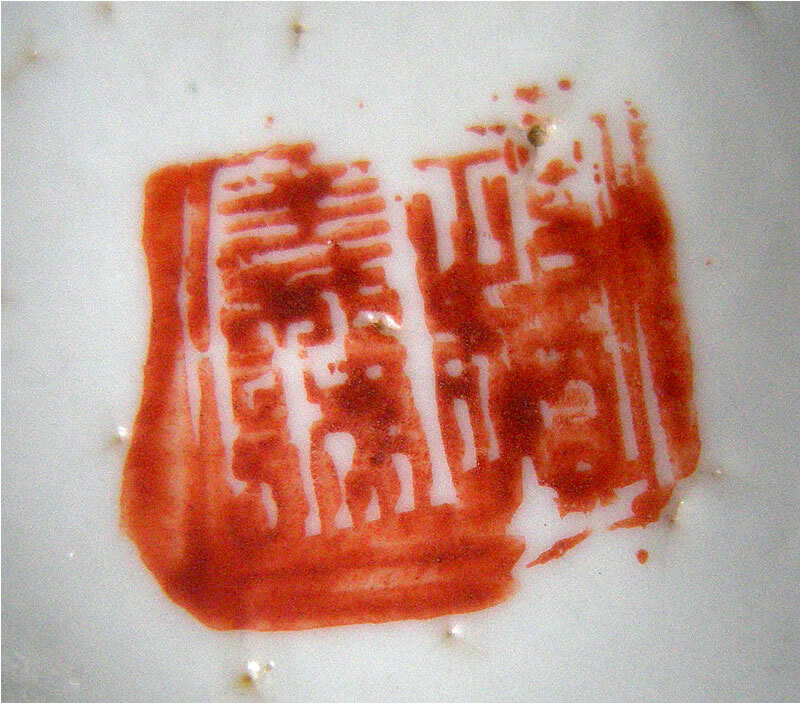 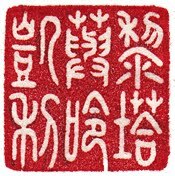 The red seal marking is smudged, but it appears it was the Dà Qīng Guāngxù Nián Zhì 大清光緒年制 red seal mark It feels rough as if it was stamped over the glaze.